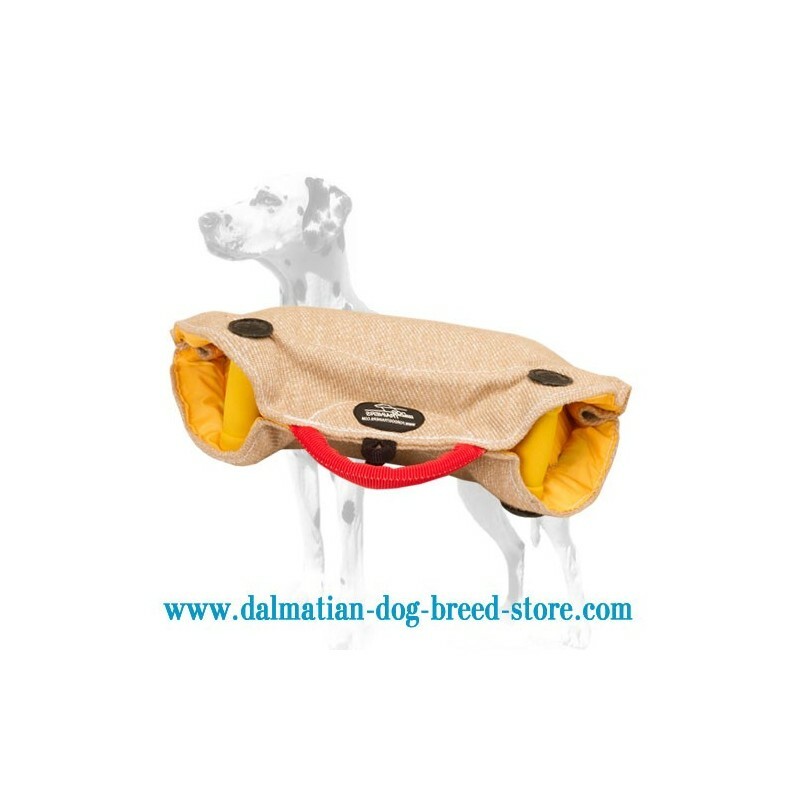 Are you looking for a durable bite builder to start training your dog with? Check the one presented here, and there's no doubts - you'll be 100% satisfied! 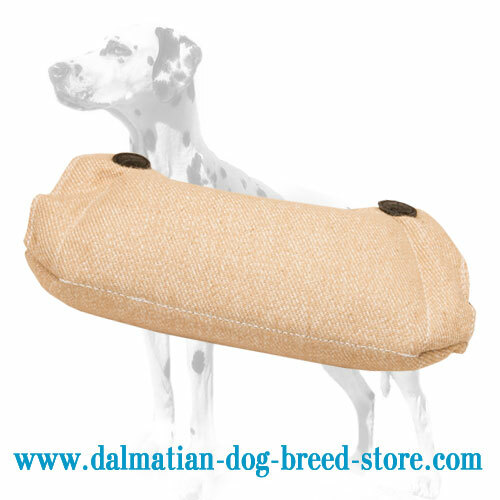 Top-quality jute surface is safe for the dog's overall health, in particular for his/her teeth and gums. 2 internal hard plastic handles and an outside round one, provide the helper with utmost comfort. 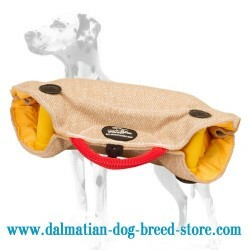 The design is carefully thougt-out by the leading dog experts, so be sure it is the best item for puppy grip training. Wanna know the advantages of this excellet Dog Bite Builder? Welcome to read below! Three convenient handles (2 plastic ones inside the item and the central round one outside) provide a helper with many grip options. This means freedom of movement while training and therefore more varied process. Jute surface is totally hypoallergenic as well as the stuffing. It is neither too tough nor too soft. So the dog won't damage his/her teeth during training; however, the material is strong enough to be challenging for a pup. There's also a special small loop that is intended for leash attachment: great idea to diversify the training! So be sure with this great Dog Grip Builder training will become much more convenient and exciting!